Huguenots may have originated the style as they traveled through France to Flanders, having first mentioned it in the 1600s. 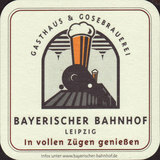 During their time, there were said to be seven hundred weissbier breweries in Berlin. Later, in 1809, Napoleon and his troops identified Berliner Weisse as the Champagne of the North. He requested the beer be served w/syrup to cut its extreme level of acidity.